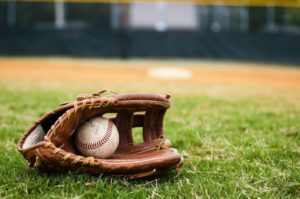 (April 9, 2019)— Baseball is more than just the national pastime; it can also be a useful tool to exercise your brain. With baseball season in full swing, the Alzheimer’s Foundation of America (AFA) is encouraging everyone to play ball. “Baseball stimulates cognitive functions, promotes social interaction and helps relieve stress, all of which are great for brain health,” said Peter Davies, PhD, Medical, Scientific and Memory Screening Advisory Board Member for the AFA and Director of the Litwin-Zucker Center for Alzheimer’s Disease & Memory Disorders at the Feinstein Institute for Medical Research. “Whether you’re a veteran player or a rookie, getting involved in the game can be a home run for your brain,” said Charles J. Fuschillo, Jr., AFA President and Chief Executive Officer. Helps relieve stress. Stress negatively affects brain functions such as memory and mood. Playing a game, throwing the ball around or going to the batting cage expends physical energy and gets your mind focused on something enjoyable. Promotes social When you’re on a team, having a catch or watching a game and talking about it with friends, you’re interacting with others. That social interaction positively impacts your brain by relieving stress and anxiety. It can be a new skill. If you’ve never played before, that’s ok! Like all muscles, the mind needs exercise to keep strong. Learning new skills and getting your brain to think outside of its normal routine promotes cognitive stimulation and fosters good brain health. Increases vitamin D levels. Vitamin D is known as the “sunshine vitamin” because the body produces it naturally (and primarily) from being in sunlight. Some scientists have found that low levels of vitamin D are linked to cognitive decline, depression and dementia. For additional information about brain health and wellness, visit the Alzheimer’s Foundation of America’s website at www.alzfdn.org or call AFA’s National Toll-Free Helpline at 866-232-8484 to speak with a licensed social worker (live chats and Skype calls are also available by clicking here).